Do you ever find yourself craving a big slice of chocolate cake? Ya, that sounds like me almost every day. I usually only bake cakes for special occasions because (1) baking a full cake takes too much effort with making, baking and cleaning the dishes and (2) I know if I make a full cake I will probably end up eating a full cake. When it comes to chocolate, my willpower isn’t so great. So what’s a girl to do when the kids are asleep, you’re catching up on episodes of The Bachelorette and you’re craving chocolate? 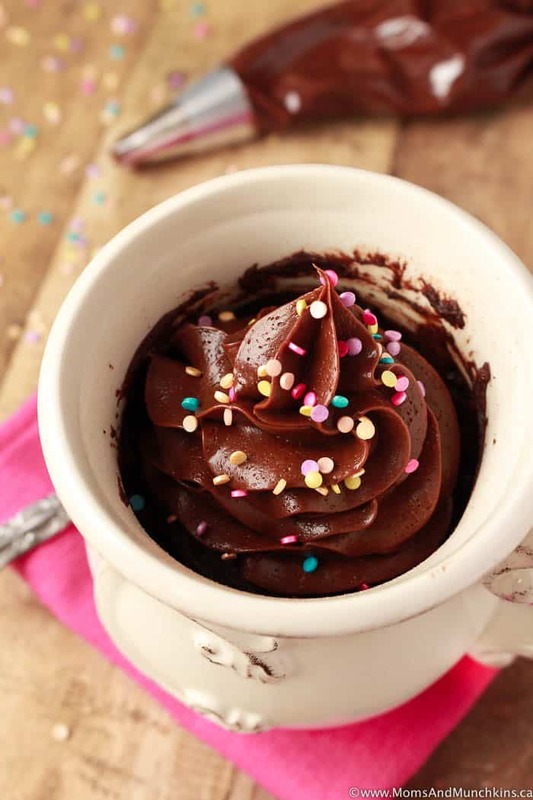 Make this Double Chocolate Mug Cake! From start to finish, this takes just 5 minutes to prepare. 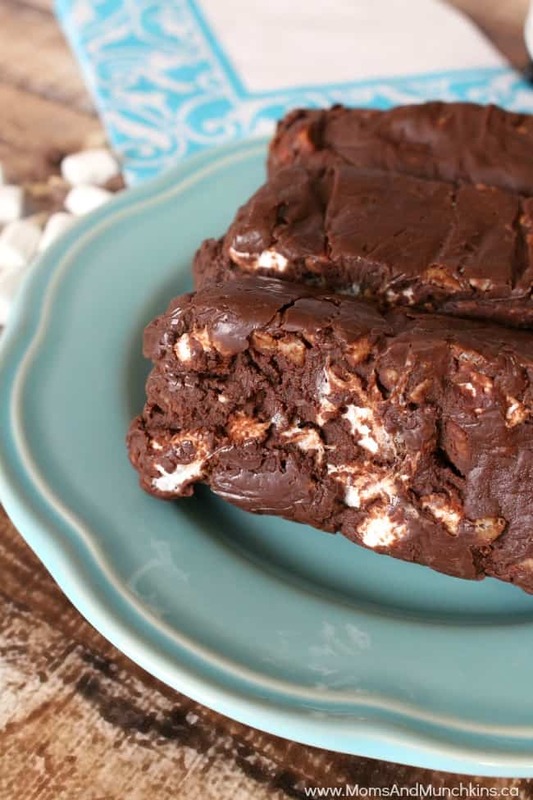 Just a few ingredients mixed right in your mug and baked for under two minutes in the microwave, then you’ll have a delicious midnight snack…no sharing required! Yes, just put that mug in the dishwasher when you’re done and the kids will never know you ate delicious chocolate cake while they were in bed snoozing. 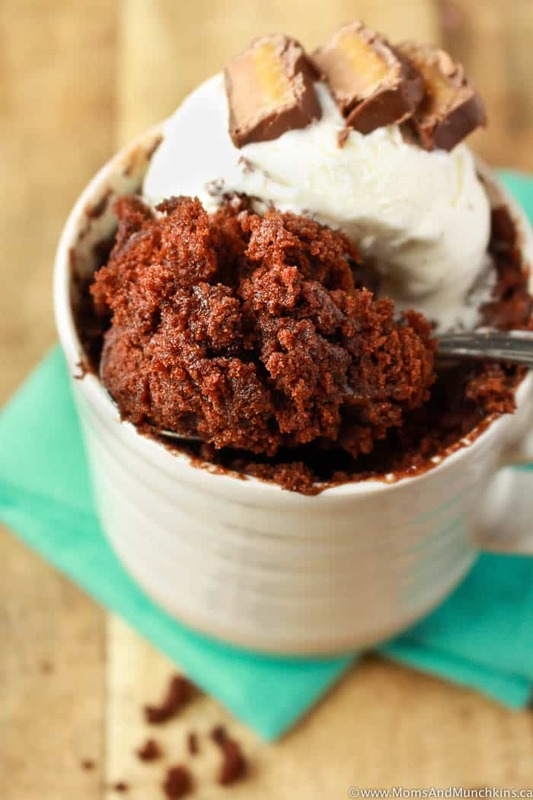 I know mug cakes can get a bad reputation for being spongey or lacking flavor but this Double Chocolate Mug Cake is delicious and moist. The baking time in the microwave depends on your microwave and the heat settings. I usually bake mine for a full 2 minutes but yours could be done in as little as 70 seconds. 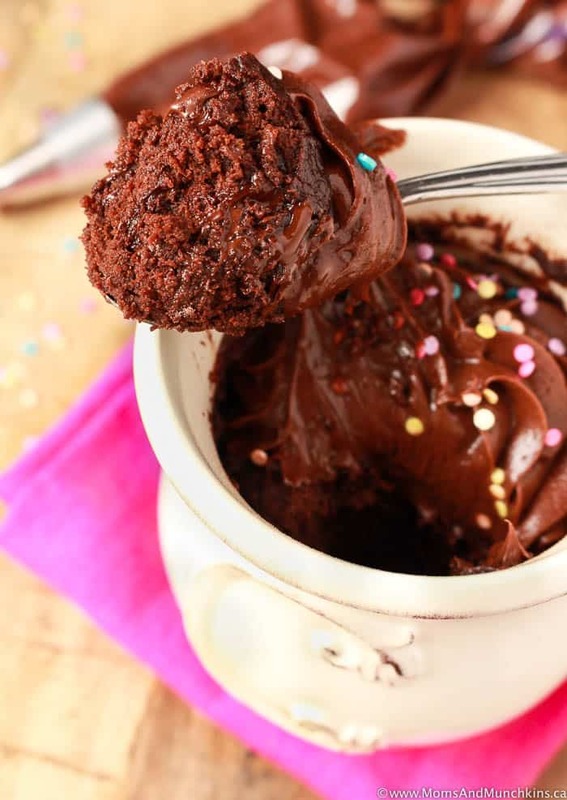 If your cake still looks wet or sticky around the edges, it’s not quite done yet so pop it back in the microwave for an additional 20 seconds and check it again. From start to finish, this recipe takes less than 5 minutes to make. It's a great midnight snack! In a 16 ounce mug (I use this larger sized mug to prevent spills in the microwave), stir together flour, cocoa powder, baking powder and sugar just until mixed. Pour in milk and vegetable oil and stir until well blended (no more lumps in the batter). Bake in microwave for 1.5 to 2 minutes. Timing depends on your microwave and heat settings. If the cake still looks sticky & uncooked around the edges, it's not quite done yet. Optional - top with chocolate frosting or ice cream, sprinkles, chopped up candy bars, more chocolate chips...load it up with your favorite sweet treats! Love quick & easy desserts? Here are a couple more for you to try! Chocolate Caramel Mug Cake – another perfect for a midnight snack! 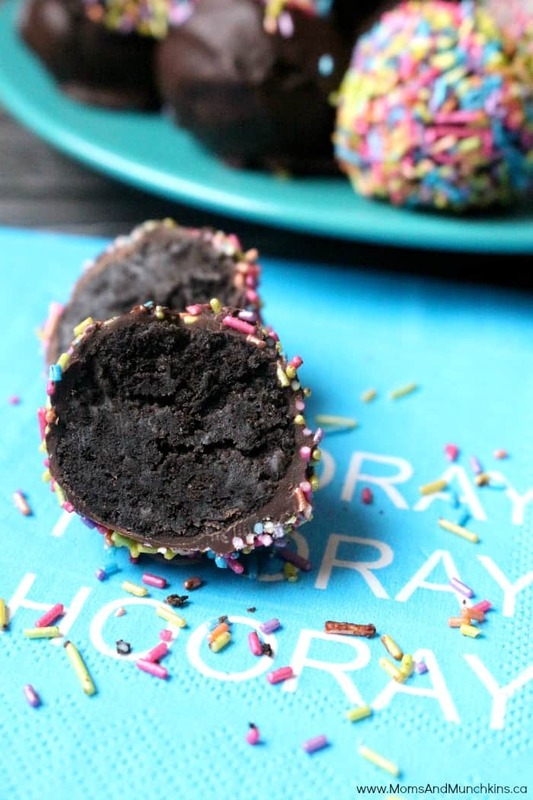 Oreo Truffles – these couldn’t be any easier to make! Marshmallow Crisp Fudge – super easy to make but you will need to let this set for a couple of hours in the fridge before slicing into squares. Visit our desserts page for more delicious sweet treats! Never miss an update by following us on Facebook, Instagram, Pinterest and Twitter. Sounds like the perfect pairing, Karly!